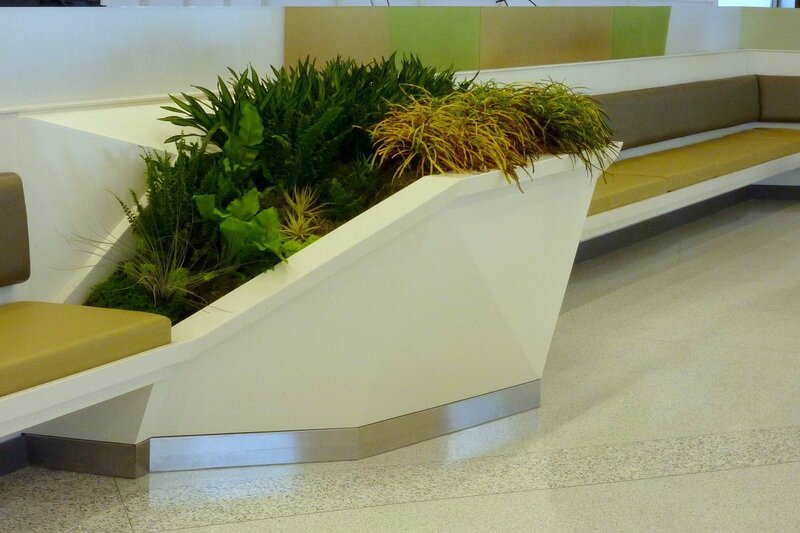 Designers at San Francisco Airport’s new Terminal 2 used PlantsOnWalls Florfelt living wall panels to create sloping displays in their planter boxes. 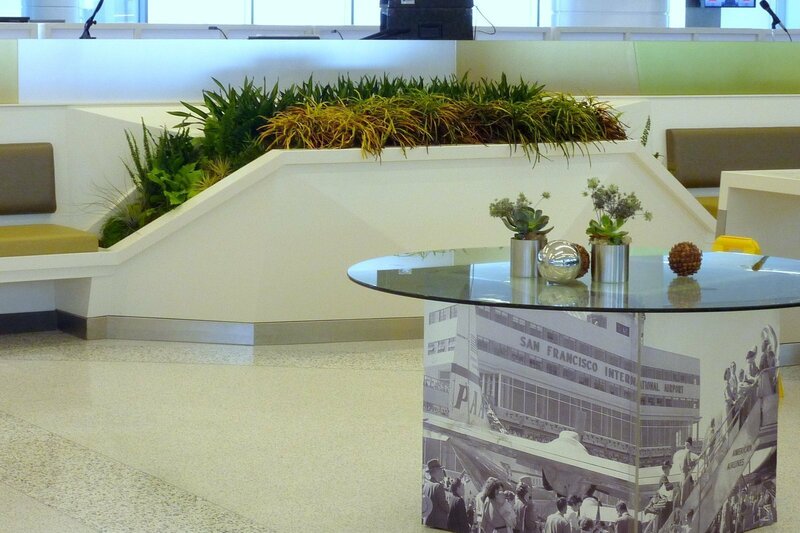 Full-pocket panels were trimmed to fit the odd shapes and filled with tropical plants. 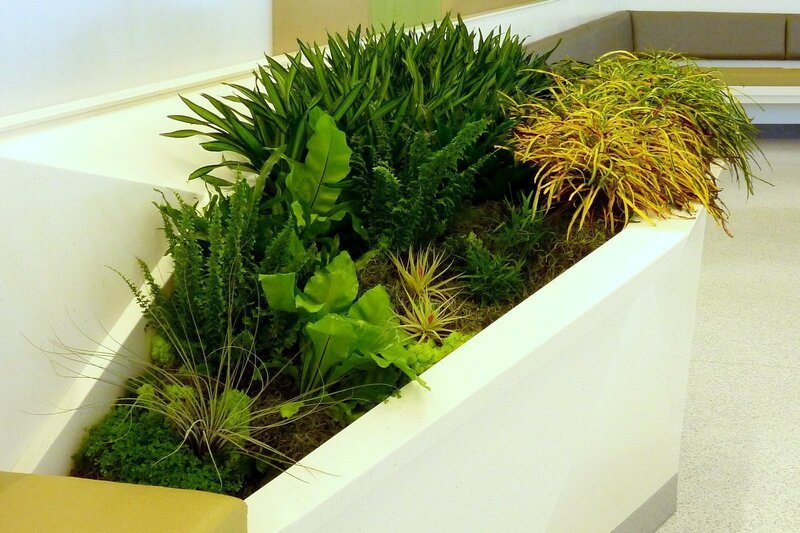 Decorative mosses were hot-glued to the felt to fill around the edges.